The surprising arrests of Bosasa bosses and correctional services top brass on Wednesday have nothing to do with explosive testimony by the same former Bosasa executives before the state capture commission. We are not seeing the persecution of whistleblowers, but rather the culmination of a prosecutorial process that started a decade ago and was delayed, allegedly, by bribes paid to top prosecutors and political interference. And while the optics of this stunning twist in the Bosasa story seem skewed, it may, in fact, be a well-devised strategy by prosecutors to ensure they are able to get the evidence they need to bring the entire Bosasa cabal to justice. Despite this, the quasi-arrests of Angelo Agrizzi, Andries van Tonder and former correctional services chief financial officer Patrick Gillingham and their subsequent appearance in the Pretoria Commercial Crimes Court may come as a surprise to many, especially following Agrizzi and Van Tonder’s explosive testimony before the state capture commission of inquiry. Also charged were former Bosasa senior manager Frans Vorster and current Bosasa staff member, Carlos Bonafacio. They were not really arrested in the traditional sense – but merely travelled to court on their own steam, appeared and were released on bail of R20 000 each. Former correctional services commissioner Linda Mti appears on the draft charge sheet as Accused Number One, but was not in court and it has not been confirmed that he has been arrested. Now we are left with several questions. Why now? Why Agrizzi and Van Tonder, who have both turned against their master to spill the beans? The most common question is: Why is Bosasa CEO Gavin Watson not being charged? It is followed closely by questions about why ministers and government officials, including Nomvula Mokonyane and Gwede Mantashe, were not being charged. The answer to this question may be simple. A prosecutor who has the stomach to tackle corruption was appointed last year to lead the case. Veteran commercial crimes prosecutor Peter Serunye led the team that brought former North West ANC leader John Block to justice for corruption. Serunye, a deputy director of public prosecutions based at the NPA’s serious commercial crimes unit in Kimberley, ensured that Block was handed a 15-year prison sentence. The case, after lengthy Supreme Court of Appeal and Constitutional Court bids, culminated in Block handing himself over to correctional services in November 2018. News24 reported previously that Serunye was tasked with seeing the decade-old case to court. Now, within three months of being appointed to tackle the case, significant action has been taken – culminating in the charges against Agrizzi, Mti, Gillingham and Van Tonder. Two more men are expected to be charged in relations to the same incidents this week. Why is Gavin Watson not in the dock? The charges against Agrizzi, Mti, Gillingham and Van Tonder stem from investigations that are based on a 2009 Special Investigating Unit (SIU) report. While the SIU report recommended that “Bosasa office bearers” be criminally charged, it did not directly implicate Watson. The reason why Gavin Watson has not been arrested is because these arrests stem from the SIU investigation. 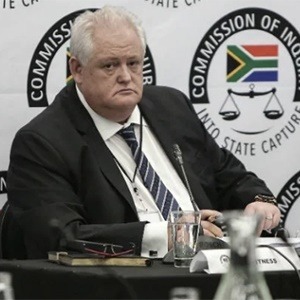 Agrizzi testified at the state capture commission that Watson would never sign anything that could implicate him in wrongdoing. This raises another possible explanation for why Agrizzi and co are being charged now. To get to Watson and ultimately ensure that all the individuals responsible for paying bribes to Mti and Gillingham in exchange for billions in tenders are made to account, Serunye needs testimony. Considering that evidence against Watson only recently emerged through Agrizzi and Van Tonder through their testimony at the state capture commission, it is possible that Serunye will now offer the men a deal – which means that in exchange for their testimony against Watson and others, they could be given reduced sentences. Waiting to first hear the evidence of Agrizzi and Van Tonder before the commission has handed Serunye key insight into what Agrizzi has to offer. Agrizzi, through his testimony, implicated a number of high-profile government ministers, including Mokonyane and Mantashe, in accepting gifts from Bosasa. The reason they have not been charged is simple – Argizzi’s testimony is yet to be corroborated and investigated. For now, we are watching the consequences of the 2009 SIU probe into Bosasa unfold in what is likely the first chapter in a long line of prosecutions linked to the company. 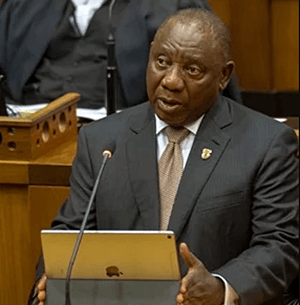 *This article was updated to include information on two other individuals who were charged, Frans Vorster and Carlos Bonafacio.